The second event I am organizing is in collaboration with the Student Association of Salento University, Lecce. 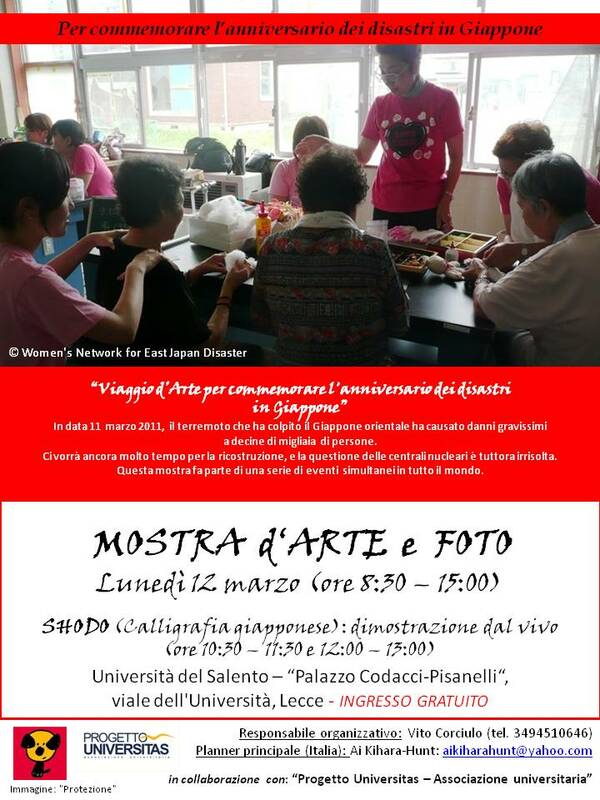 On 12 March (Mon), at the main entrance hall of Salento University, Lecce. Photos, paintings and other art pieces are under the themes of ‘nature, natural disasters, energy sources, nuclear plants, Japan’. Come and have a look!